Back in Melbourne and back to weekend brunches! 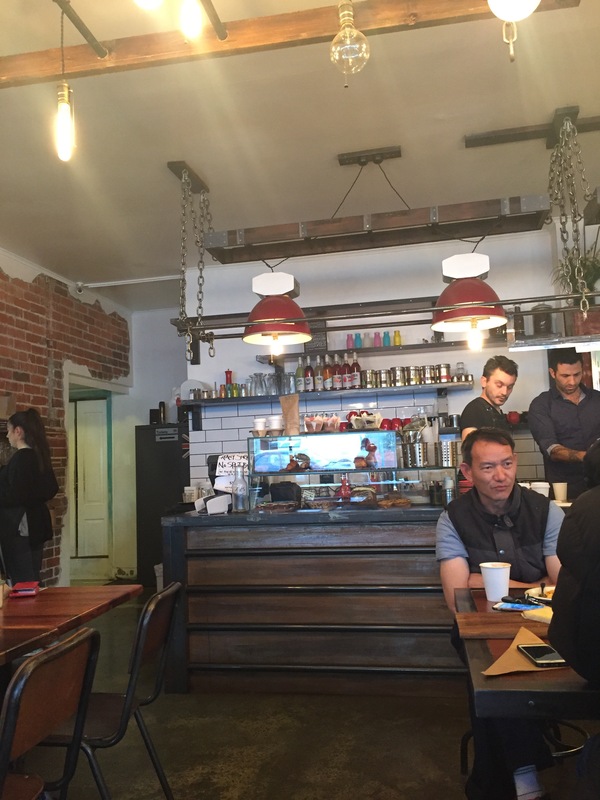 And don’t I feel just a bit silly not having visited this place sooner… We’ve been living a stone’s throw from the Old Milk Bar Cafe for a few years, now, and it’s one of those places that’s been on my radar but I just haven’t gotten around to visiting. 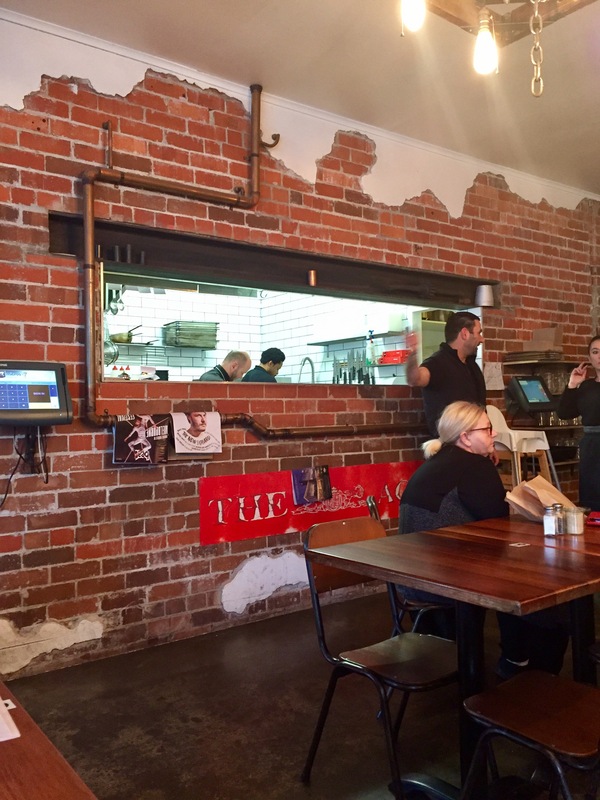 I adored the space itself – little touches like the old THE AGE sign on the wall under the kitchen were the perfect throw back to the old days. While the inside of the cafe isn’t enormous (with seating for around 8 on small tables and one larger communal table that seats another 8 or so), the outside patio seating was pretty spacious. And the menu looked great! 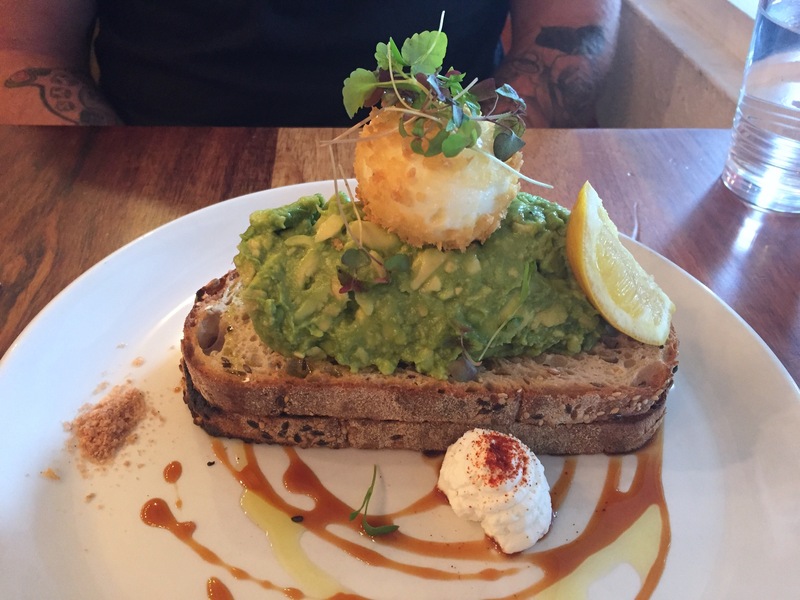 Husband’s choice was made quickly; he went with the smashed avo – 2 slices of toast with an absolute mountain of smashed avocado, goats curd, and a panko crumbed egg on top. He gave big points for the amount of avocado and how perfectly oozy the egg yolk was, but was a little sad the panko crumbs didn’t stay crunchy. 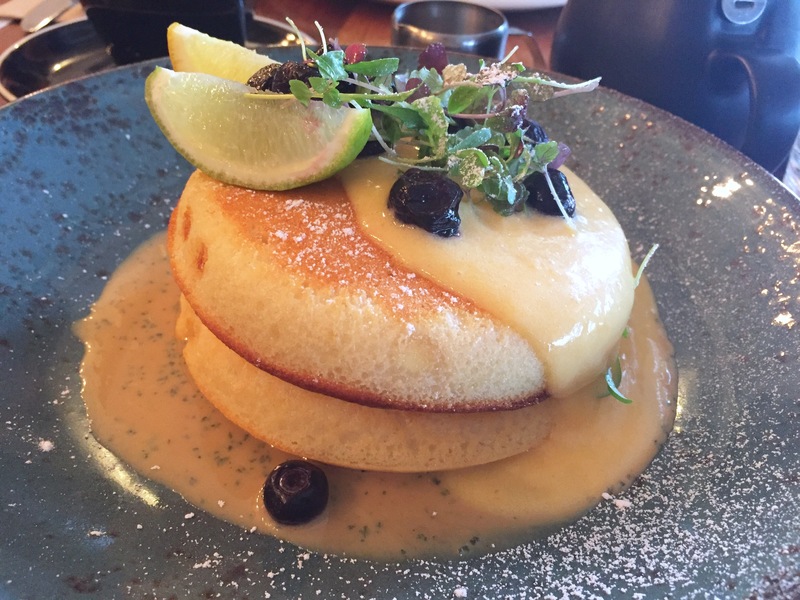 My choice was even easier again – lemon lime ricotta hotcakes with blueberries. Yes, please!! These were hands down the lightest, fluffiest, most delicious hot cakes I’ve ever had. No competition. No other was to describe it. Absolutely perfect. Swimming in the most delicious citrus curd, and plenty of juicy blueberries. I was told these were a new addition to the menu, and I hope they stay on the menu – I’ll be back for them again. They were magic.